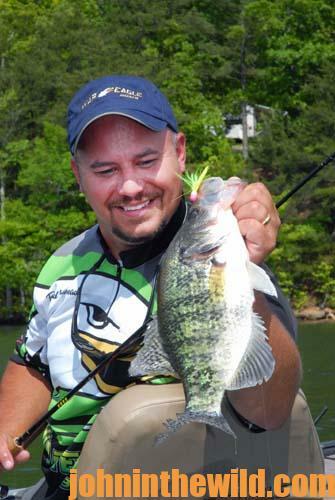 Editor’s Note: If you poll crappie fishermen in the State of Alabama and in many areas of the South, they’ll tell you the worst lake for catching crappie on the Tennessee River in north Alabama may be Wilson Lake. “Wilson is probably one of the best smallmouth bass lakes in America, but because of its swift current, lack of structure and few back-water areas, there aren’t many crappie there,” most crappie fishermen will say. 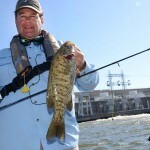 And, Brad Whitehead of Muscle Shoals, Alabama, a longtime crappie fisherman (https://www.facebook.com/people/Brad-Whitehead/100008425833568), wants crappie fishermen to continue to believe that statement. I slay crappie on Wilson Lake by tight-lining in the Shoals Creek area in 22 feet of water in December and January. 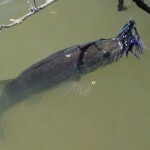 I use Southern Pro jigs (http://www.southernpro.com/) and Yum Beavertail jigs (no Yum website – all eBay, etc.) to catch my crappie. I like the pumpkin seed and chartreuse colors when I’m fishing with Beavertail jigs, and when I’m fishing minnow tubes made by Southern Pro, I like the bleeding-shad color. I usually tip my jigs with minnows. At this time of year, I’ve found that the crappie move up into the shallow ditches in about 22 feet of water. The ditches will be in about 5 to 6 feet of water and then drop off to 19 or 20 feet. The crappie usually will hold in the outside edges of these ditches. I move my boat as slowly as I can move it, and I’ll have a 1-ounce sinker on the bottom of my line. The fish also will be concentrating on man-made structure that we sink. You won’t catch big numbers of crappie fishing Wilson Lake in the winter. We’ll usually only catch 26 to 35 crappie in a day of fishing. But our fish will weigh 1-3/4- to 2-pounds each. One of the big secrets about fishing Wilson Lake in January is that most people who live in Alabama, and most people who come to Alabama during this month are deer hunting and not crappie fishing. So, there isn’t much traffic on the waterway, and there’s very little competition for the fish. 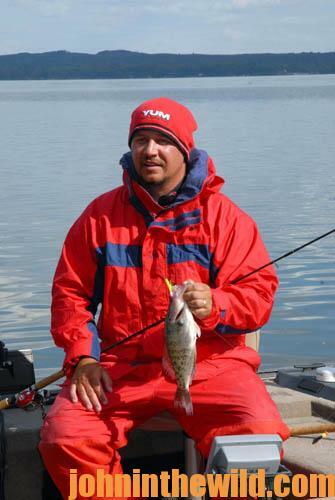 Another secret for catching Wilson Lake’s wintertime crappie is to fish extremely-slowly. I usually can fish a spot from early December and can catch fish there until the middle of February. I fish the 12-foot B‘n’M Pro Staff Trolling Rod (https://www.bnmpoles.com/collections/fishing-poles/trolling-rods) because it’s so sensitive, and I easily can see those light bites on it. I spray the tips of my rods with a white plastic paint, and on a calm day, I even can see the minnows moving on my hook by looking at the tips of the rods. I use 8-pound Super Silver Thread line (https://www.facebook.com/silverthreadfishing/) with a Pflueger reel (http://pflueger.com.au/). I’m also conscious of matching my bait to the size of shad the crappie are feeding on in cold weather. During the winter months, the shad are slightly bigger than you find in the spring, which is why I use the minnow-and-jig combination to give the bait a bigger profile. You also need to have the exact-size sinker on the end of your line to present the bait properly. The size of sinker you use drastically can affect the speed at which you troll. Water temperature has a lot to do with how fast you should troll. If the water temperature’s warm, I’ll troll relatively fast. But the colder the water becomes, the slower I troll. In the springtime, because there’s so little cover in shallow water at Wilson Lake, crappie are hard to find there. 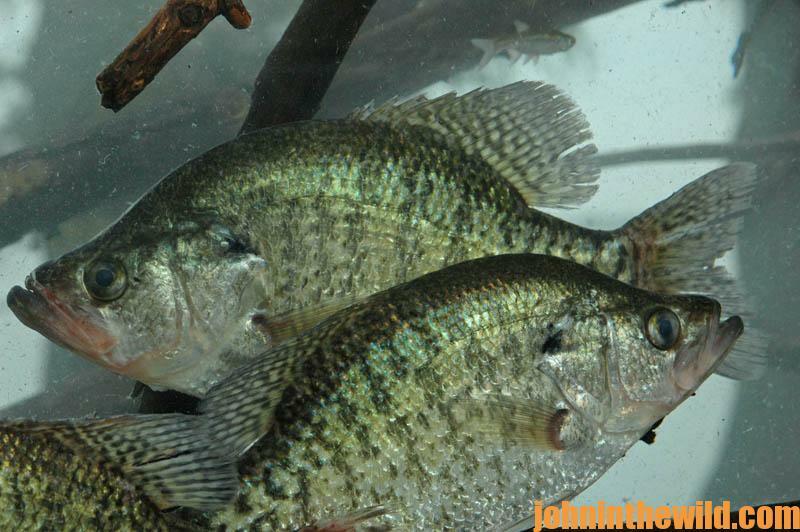 But in the winter months, when they’re holding from 5- to 22-feet deep, if there’s brush at that depth, and you know where crappie like to hold every year, you can catch them. You also need quality electronics. I’m always amazed at how many people don’t read the handbooks that comes with their depth finders. Most people will mount their depth finders, turn them on and expect them to do their tricks. But if you read the instruction book, you’ll learn that the depth finder will do a whole lot more than you think. I keep my instruction book to my depth finder in my boat at all times. If I see something on the screen of my depth finder that doesn’t look right, I’ll pull out my book, study it and see if I’ve accidentally flipped the switch or moved a knob I’m not supposed to move. In the summer months, when I’m not guiding, I spend time with my depth finder and my instruction book. I’m so confident fishing on Wilson Lake that I guide on the lake, too. I really don’t think Wilson is any more difficult to fish than any other lake you may fish, if you fish it well for crappie. 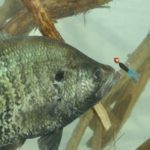 You first have to locate the crappie and pinpoint the structure they’re holding on, or if you’re fishing a lake like Wilson, build structure where they can concentrate. 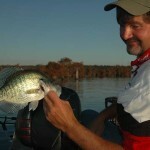 Then use your depth finder to learn how, when and where crappie move. 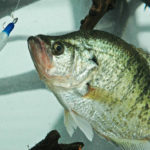 One of the reasons I like to fish Wilson and other lakes most people don’t believe home very-many crappie is because I usually have less competition for the fish, I’ll usually catch bigger fish, and rarely will anyone find any of the brush piles I sink. So, my brush piles continue to produce when brush piles on more-popular lakes are over-fished. From now to mid-February, Wilson is as good, if not better, than any other lake in the country for catching big crappie. If you’d like to learn how to fish tough crappie lakes or go fishing with Brad Whitehead, call 256-381-7231 (home) or (256) 483-0834 (cell). You also can reach him by email at BradandAlicia09@comcast.net.